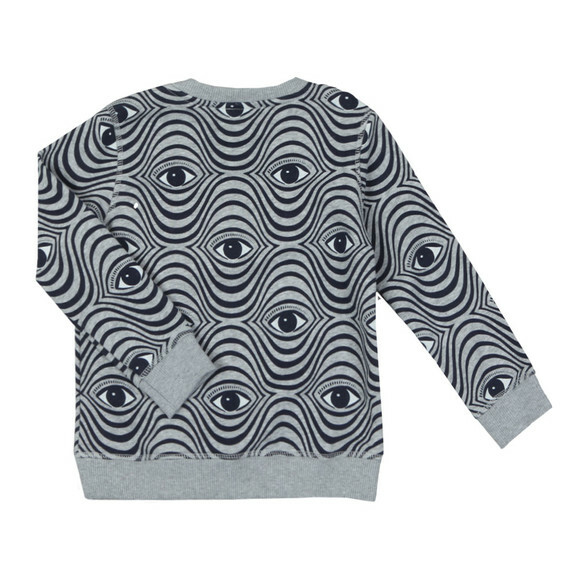 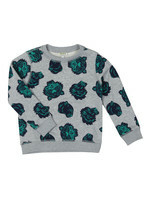 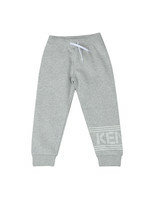 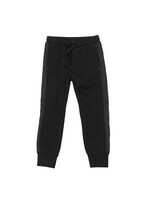 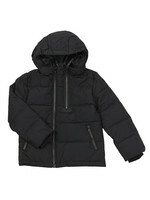 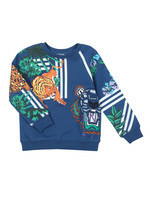 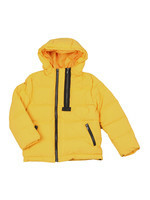 Kenzo Kids Fergal Wax Kenzo Sweatshirt in Grey. Patterned with an eye design that is surrounded with wavey lines. 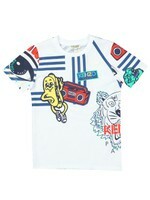 A large Kenzo logo is embroidered on the chest in multiple colours.